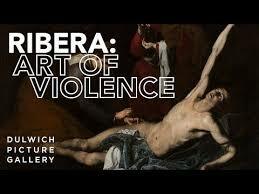 The event, inspired by the exhibition Ribera: Art of Violence and chaired by Edward Payne and Xavier Bray, examines Ribera’s art from various interdisciplinary perspectives. The Dulwich Picture Gallery brings together established and emerging voices to explore new approaches to the artist, his works, myths and audiences around the exhibition’s five thematic sections. Situating his paintings, prints and drawings within their historical context, this event addresses the relevance of Ribera’s violent imagery in contemporary art and thought.